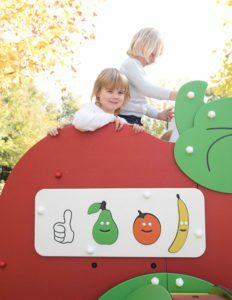 The Caterpillar & The Apple: new play equipment with a message! 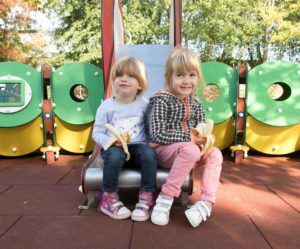 15% of the children under the age of 10 year have problems with their weight and only four in ten young children eat sufficient fruit and vegetables. How can you encourage children to be healthier? Apply positive reinforcement. 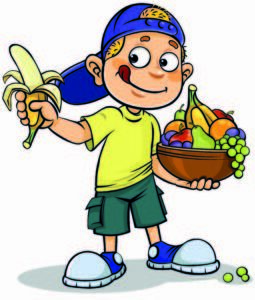 By promoting healthy eating choices through play we can influence the choices of our young people. 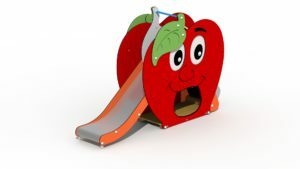 The idea of a piece of play equipment eating fruit and vegetables gives children the message that it is fun and healthy. 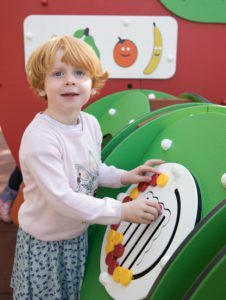 Reinforcing the healthy eating message through play, children will begin to make more positive choices for themselves. How can you stimulate children to play more? 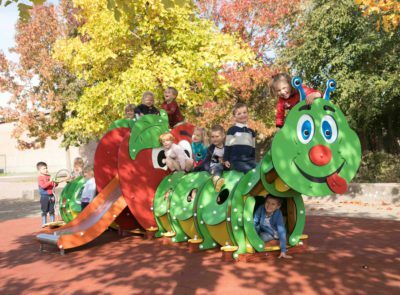 It is believed that play equipment designed around animals attracts the attention of young children. 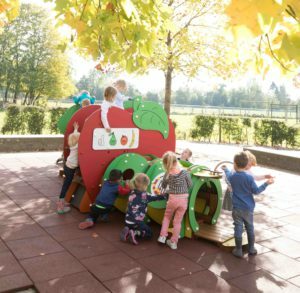 In designing the caterpillar eating an apple, children are being engaged in healthy eating ideas through play. 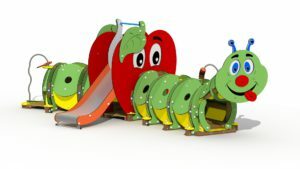 We are proud to present you our new range: The Caterpillar & The Apple. 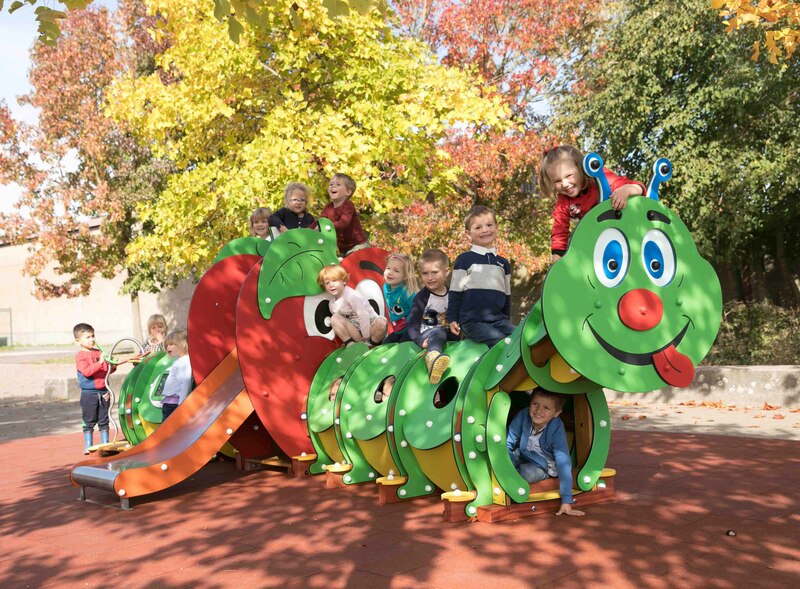 The range contains three new products: ‘The Caterpillar (long version)’ (ref. G720), ‘The Caterpillar (short version) (ref. G719) and ‘The Apple’ (ref. G718). 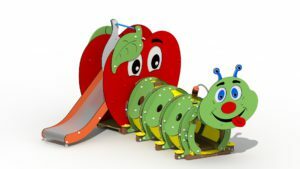 Our Caterpillar and Apple continue to promote a positive healthy eating message whilst aslo encouraging children to be more active! 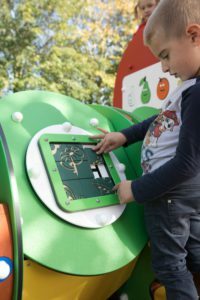 Optional extra play panels for the Caterpillar: sliding puzzle (ref. L719) and/or four in a row (ref. L720).